Clearly you're missing a HUGE clue in the first picture, a clue that leads to all the answers. Clearly they are the socks of the Wicked Witch of the East, the one Dorothy kills. I know it's misleading. Clearly, a small child (or intelligent conspirator, possibly one and the same) colored the socks in a different hue to test your mental mettle. 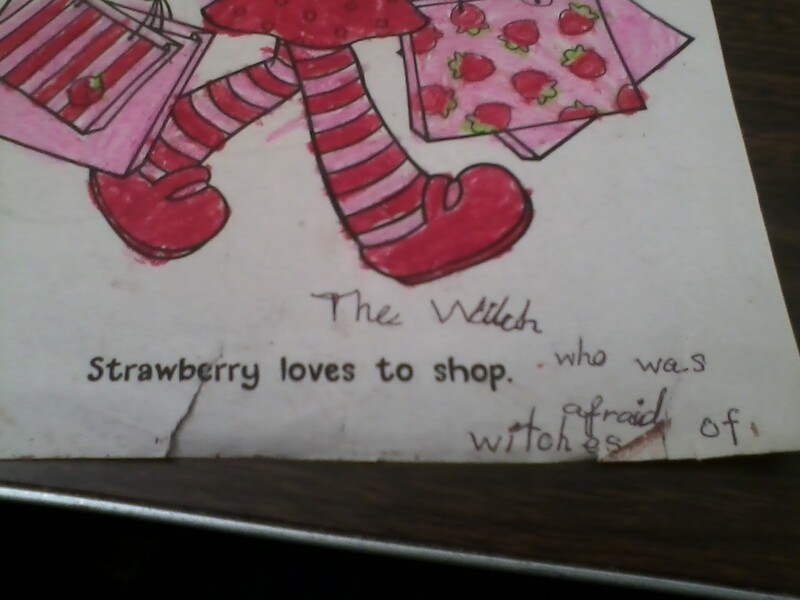 What we have here is literary crossover, hinting perhaps at the evil that Strawberry Shortcake would eventually become, probably from overexposure to the Peculiar Purple Pieman of Porcupine Peak. The second note is the next piece of the map, obviously hinting that the Land of Oz and Strawberry's worlds are, in fact, merely the dreams of Columbus, who, after all, is the discoverer and explorer of worlds. You are clearly a genius! Go start that novel! Haha, I'll admit that this possibility didn't even cross my mind. Well done. That was my immediate thought as well. 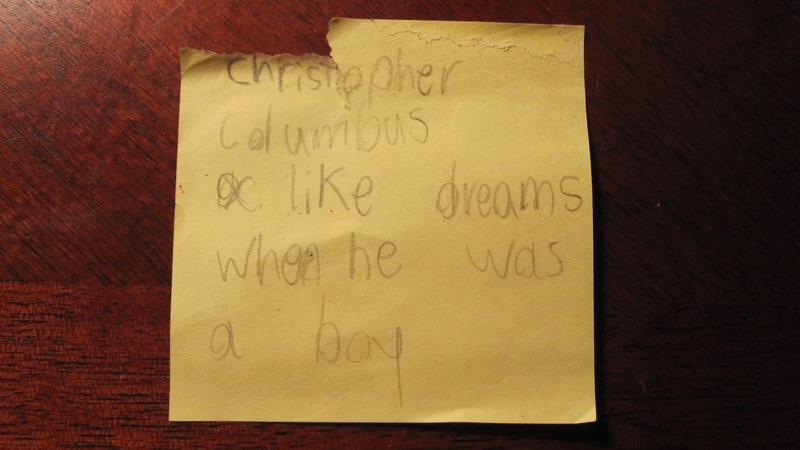 "So, like, Columbus dreams of sailing, like, and then he grew up..."
I wonder if they left out a hyphen on the post-it. 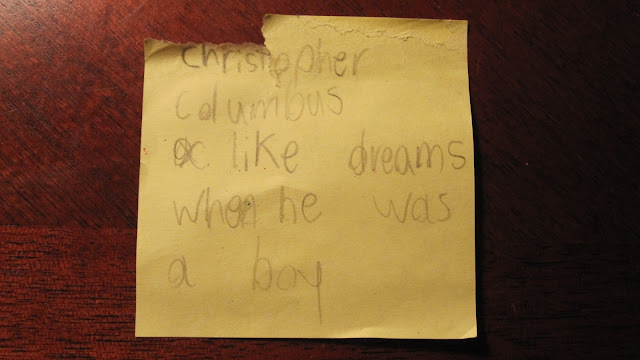 Someone was having "Christopher Columbus-like dreams when he was a boy." Probably about sailing. Maybe smallpox. I keep a collection of weird stuff found while weeding. My current favorite is a scarp of hotel note paper that says "indulged in a succulent piece of meat. [line marking off a separate note] Warts - inside banana peel apply to Wart - rub or use band-aid"